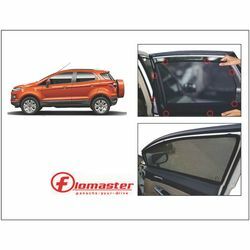 It has Superior design and quality that reflects UV rays and prevent your car from heating up. It also Reduces green house effect in your car by blocking sunlight. It is very useful for cars that are not having black films on there cars windows. It does not require any kind of glue. It is both removable and reusable. It reduces sun heat. It has Superior design and quality that reflects UV rays and prevent your car from heating up. It also Reduces green house effect in your car by blocking sunlight. It is very useful for cars that are not having black films on there cars windows. It does not require any kind of glue. It is both removable and reusable. It reduces sun heat. Superior design and quality that reflects UV rays and prevent your car from heating up. Reduces green house effect in your car by blocking sunlight.